As part of their journey to maximise the investment going into deprived communities and to support social enterprises and trading charities to create social impact, Key Fund will partner with local infrastructure, intermediary organisations, Big Society Capital and other social investors to increase awareness of, and the level and quality of connection to, social investment in the rural North East, Cumbria and East Midlands. 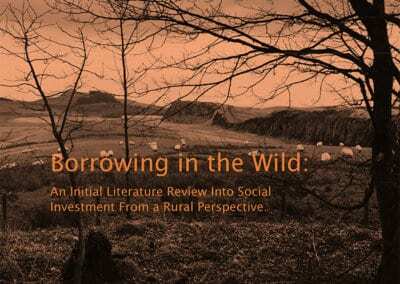 The initial report created from this project has been launched this February: ‘Borrowing in the Wild: An Initial Literature Review into Social Investment from a Rural Perspective’. It provides a great review of existing literature on barriers to investment and business development in rural areas. You can download a copy of the report here.